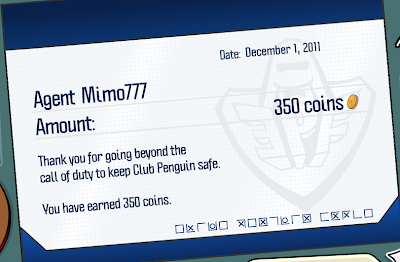 Club Penguin Cheats by Mimo777 Club Penguin Cheats by Mimo777: December Paychecks Are Here! Woot! 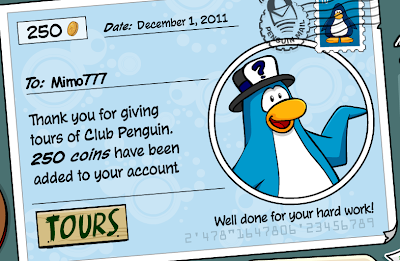 It's Club Penguin payday!! Just in time for the new Penguin Style Catalog! Is that what you plan to spend your coins on? Wow the psc isnt out yet >.< maybe their not finished making it? 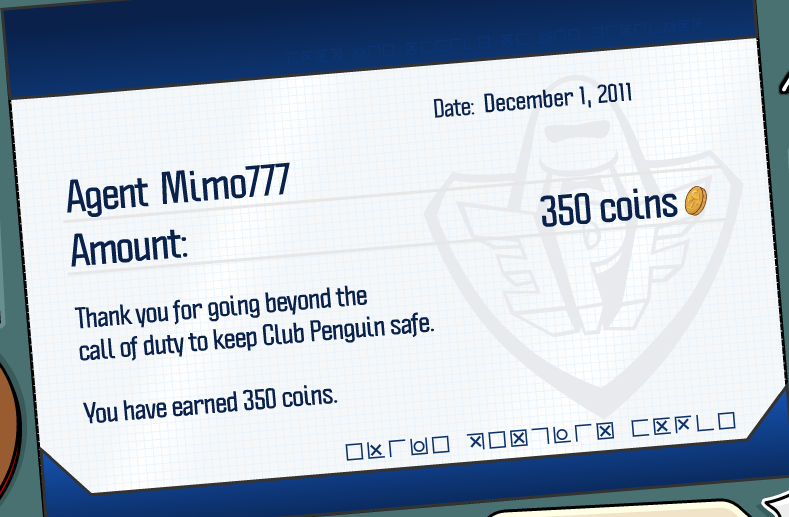 About my other comment just before mimo they just changed the name thing to club penguin rules!!! Great work Agent! If you're reading this message, you managed to sneak into the Fire Dojo and decode it. I've always wondered who would be better at stealth - a ninja, or a stealth agent. 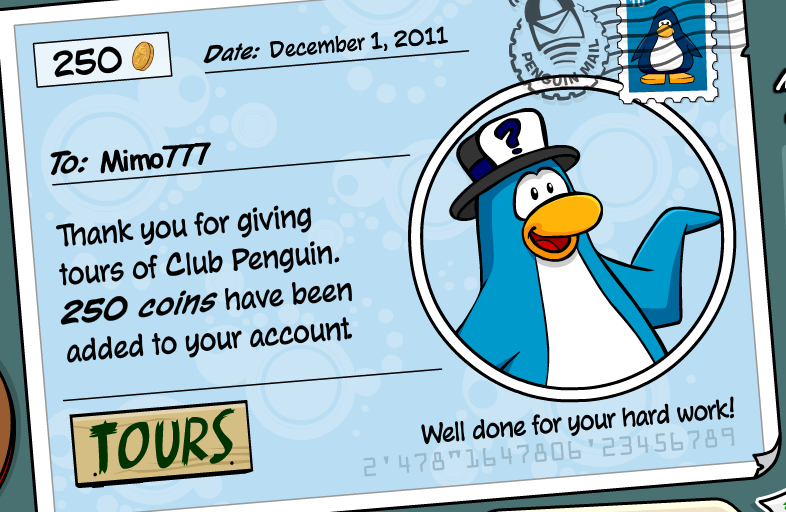 Maybe I should learn Card-Jitsu to find out.